Family traditions come in all shapes and sizes. At our house, holiday celebrations are a very important way to bring family together. 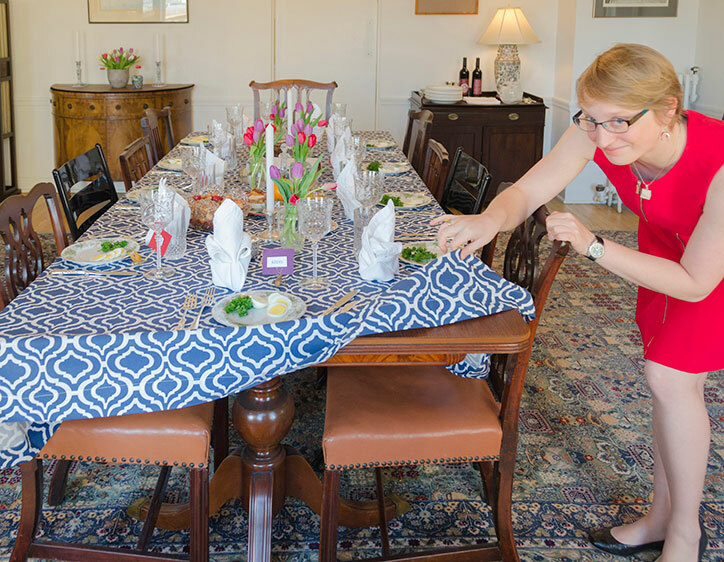 Everyone has their own job when it’s time to get the house ready for a special dinner. One of the tasks is getting out the table pads. Each generation learns at a young age that putting the table pads on is the first step in setting the table. 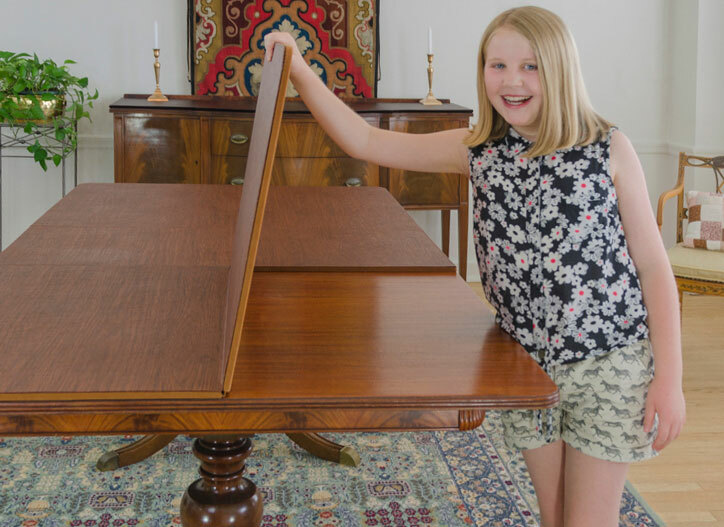 Here some of our family photos showing my daughter (above) and her young cousin (below) showing off their table pad skills. Many of us first saw table pads on our mother’s or grandmother’s table. We hear from our customers that getting their own dining table pads is a true mark of adulthood, whether it’s as a gift or their own purchase. We are proud to have served generations of table pad customers, helping them start their own family traditions.